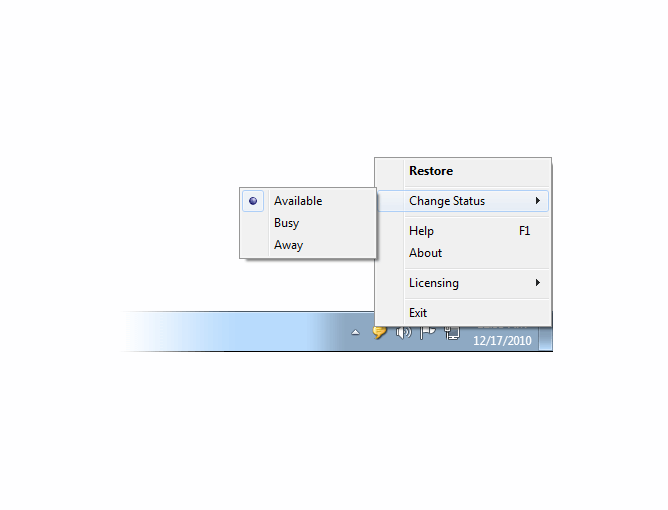 In addition, there is a drop and drag file transfer feature that allows for files and folders to be exchanged between employees. The entire system is encrypted for extra security so that no one outside the network will be able to see or understand the information that is being communicated through the LAN Messenger. An employee can set up the system rather easily thanks to the ability to create user groups and put the names of fellow employees who are part of the system into a particular group. In that manner, a person may have several groups where one or more employee is shared. 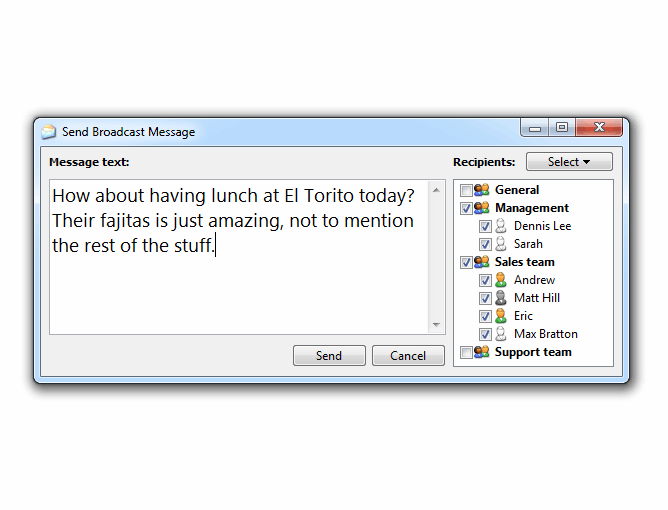 This is a great way of communicating in teams and those who are not involved will also not get the messages. 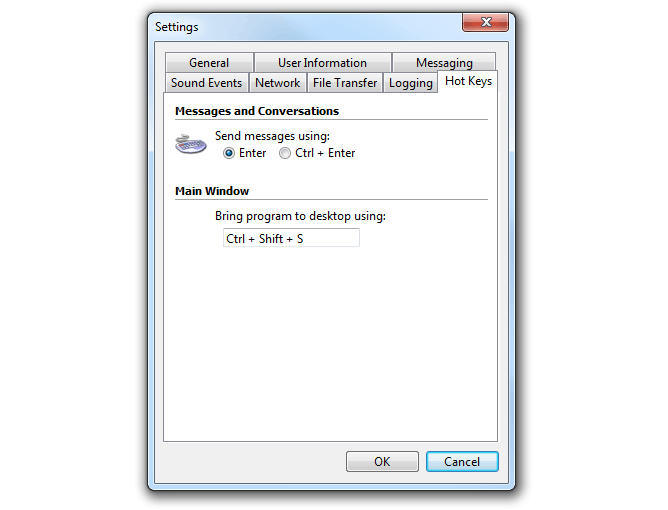 The Instant LAN Messenger is certainly a user-friendly system that offers many features which require far less in terms of IT support than many other systems on the market today. There are a number of features included in the LAN Messenger system that help make it a potent purchase for offices to help protect their communication efforts. 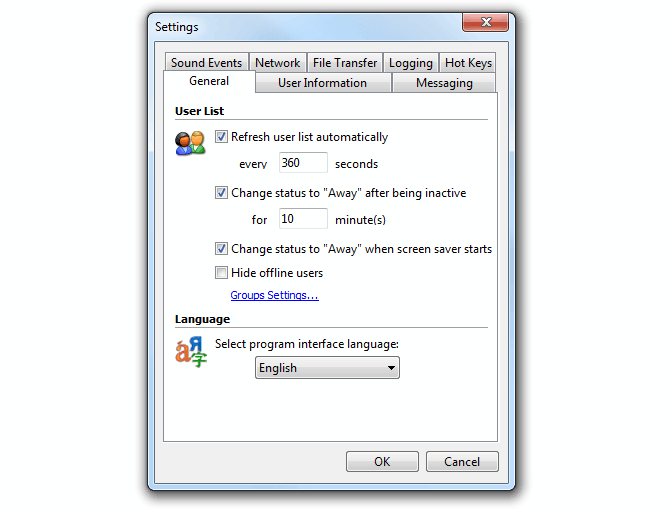 This instant messenger service simply loads up and runs on the computer. It is so intuitive to use that very little, if any instruction is needed. 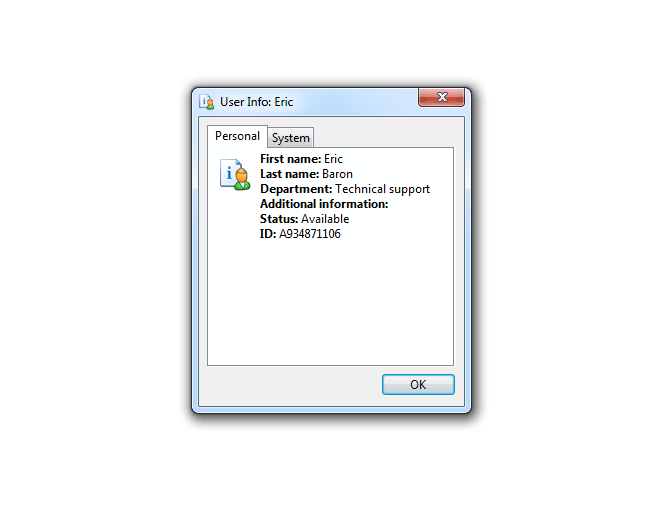 The user can simply configure the program to run in the manner that they wish without having to get IT support. 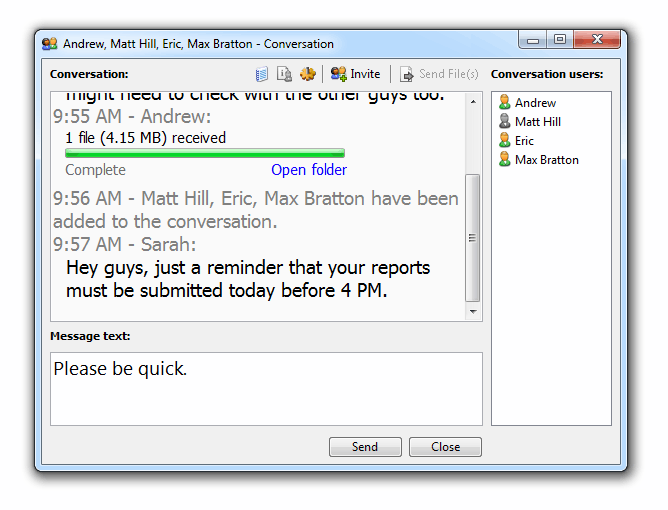 The encryptions of all data mean that using the LAN Messenger within your network offers safe and secure communication. In addition, the system itself actively discourages employees from communicating outside the organization. It does help that this system minimizes the bandwidth use of the internet and the number of firewall ports that are opened as well. The flexibility of this system is quite notable as well. An employee can engage on one-to-one as well as group conversations with ease. 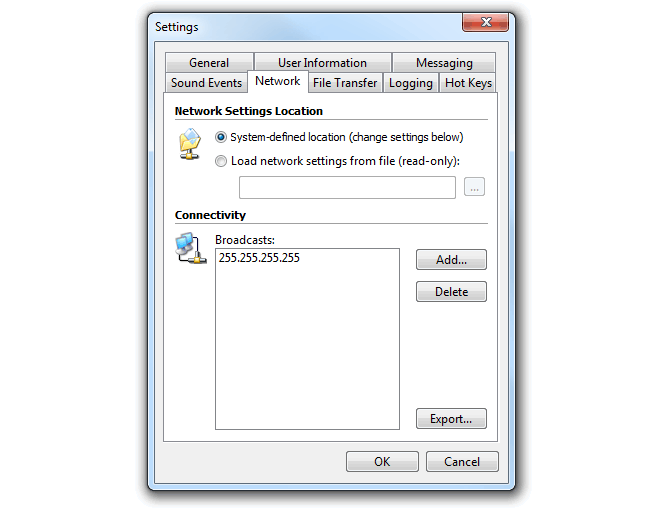 Plus, notifications can be sent out informing everyone on the network that a lan chat rooms is going to take place. This flexibility is augmented by the inherent simplicity of the system which is quite intuitive by nature. 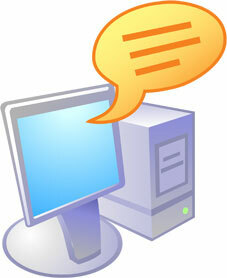 You can even send messages offline to recipients who will see the moment they go back online. With no server or dedicated storage system needed, this is certainly a remarkable tool. 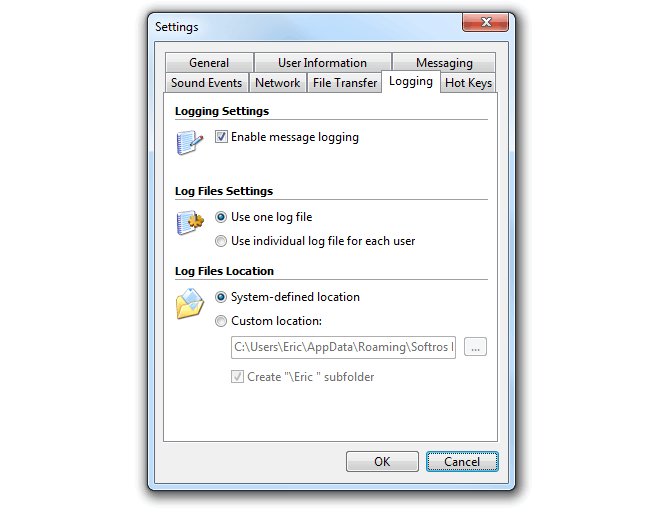 There is no need to set up a dedicated server for messaging purposes as the IM tool on the Kutinsoft LAN Chat system does the job thanks to its peer-to-peer application which is stand alone. This means less in terms of IT resources being used to oversee this instant messaging system. 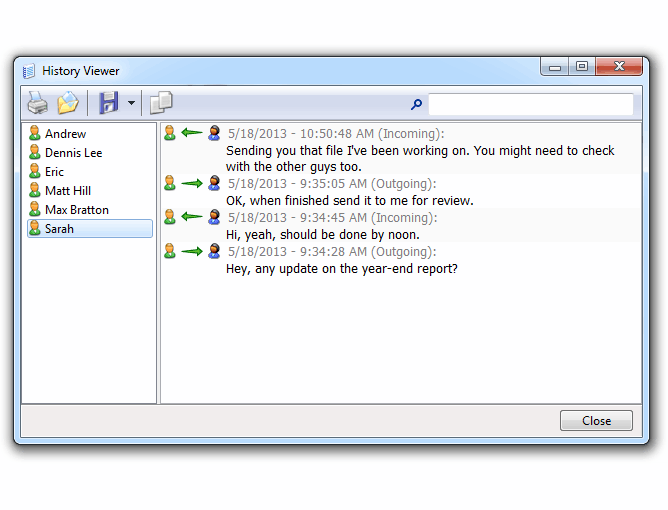 Employees can actually transfer files with ease using this instant messenger system. In fact, one of the real advantages here is how easy it is to accomplish thanks to the drag-and-drop method that is built into the software. 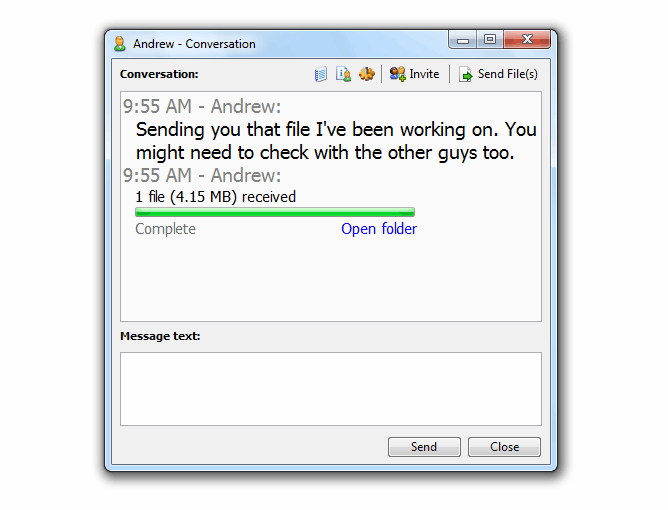 Just move the file to the icon of the recipient or during the conversation that you are having with them and the transfer is complete. 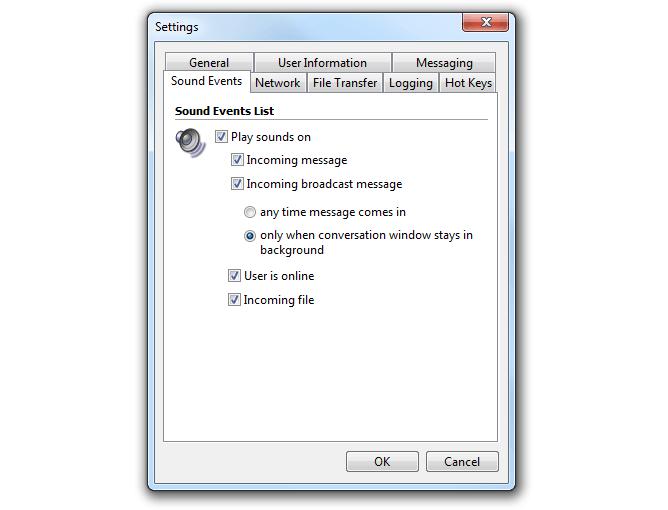 The system keeps track of all of your messages either locally in your computer or on the network share system. You can seek out all of your messages, view them on the computer or print them out if you desire to demonstrate the history of communications that you have had in the past. This can become quite useful if you are backtracking conversations. The LAN chat system is fully supported by Microsoft and Citrix Terminal Services Messenger as well as having full domain support as well. You can also find complete LAN, WAN, VLAN and VPN support as well which enhances the functions of the system. Using a single messaging environment means that everything is present for a user to connect to the subnets with VPN, virtually or physically if need be. Plus, there is an active help system that can guide anyone into using it properly. 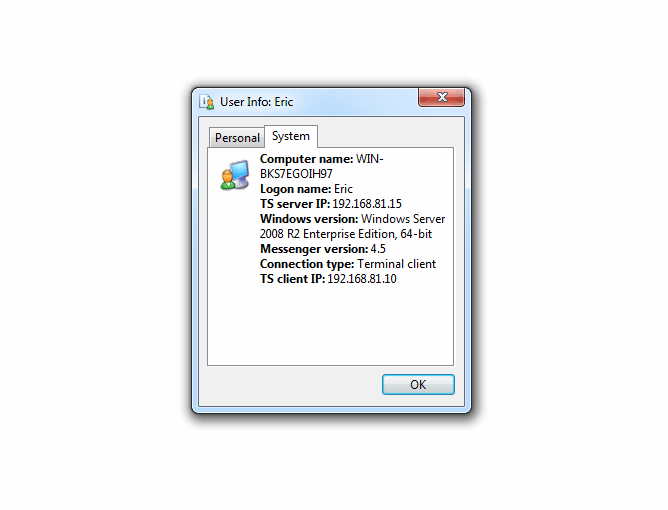 In addition, the active directory as the full names of users is stored in that location for display. 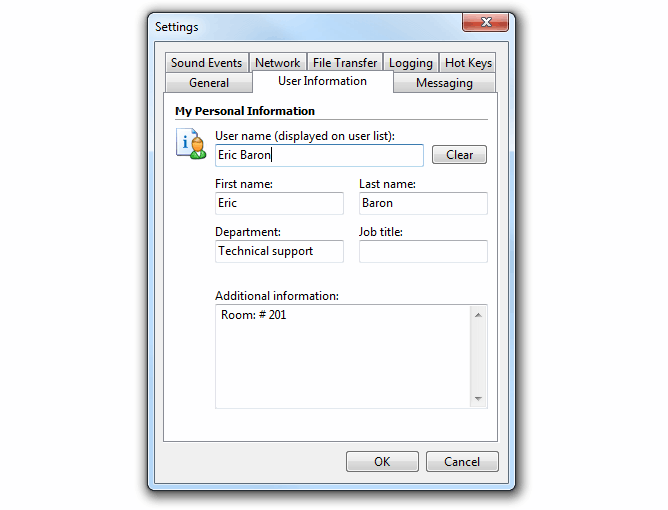 Inside the program itself, an SID system is used for identification, but a user can simply look up the name and then contact them quickly if so desired. The speed of this system is quite remarkable in this aspect. Here, this system is very flexible when it comes to configuring user settings that include importing and exporting them quickly as well. The automatic distribution of settings from network, license file, user groups, admin restrictions and more is also available when using the built-in features. This makes it easier and more intuitive to use the program which requires little in the way of instruction or training to understand. The administrators can choose who to restrict in terms of messaging capabilities within the system itself. 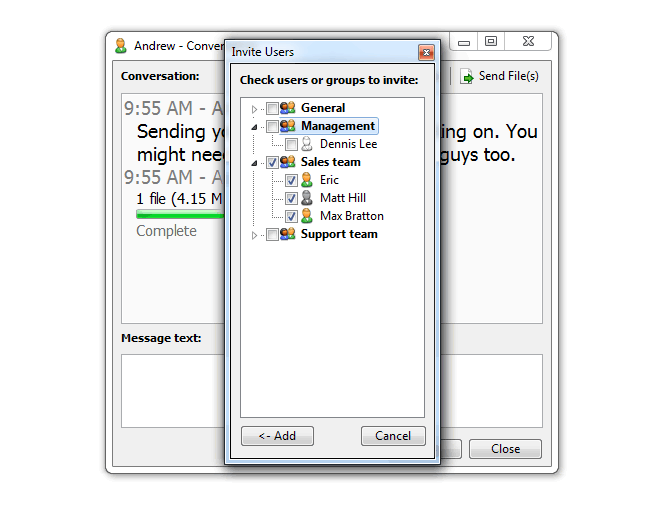 This allows managers to help clean up groups assigned to particular tasks and prevent overlapping of messages from occurring. 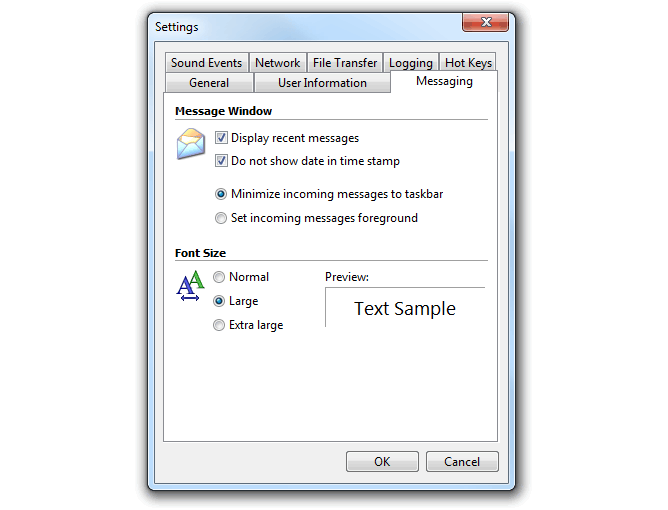 Basically, deploying the messaging software, including the license and settings can be done through the group policy system. This makes it easy to start everyone off on the same level so that individuals can make their own changes when needed. New group policies can be distributed the same way time and time again. Is the LAN Messenger the Right System for Your Needs? 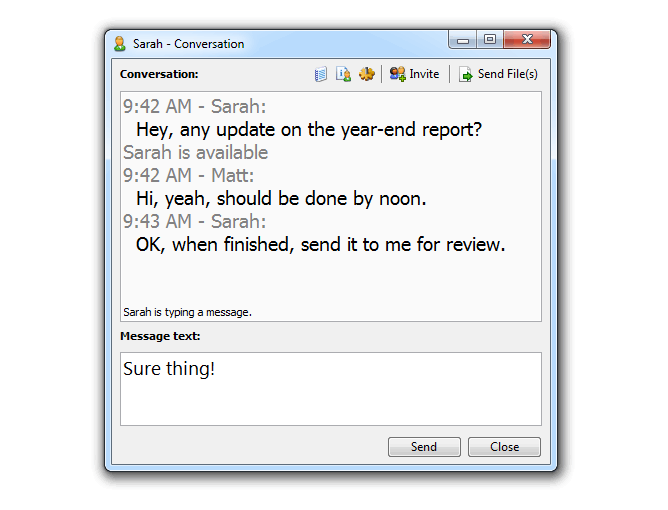 The truth is that this particular instant messaging system has very few, if any downsides. The encryption alone brings with it the security needed to ensure that whatever messages are being sent cannot be decoded from outside sources. While administrators might like to have a bit more control over what groups employees join, that is a very minor issue considering all the advantages that is offered. 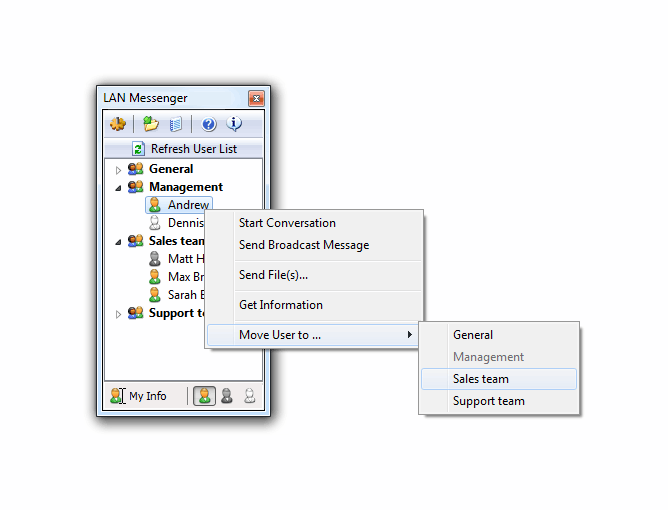 The LAN Messenger is quite unique in being a simple, powerful, easy to use instant messenger that will help your internal communications. © Copyright 2000-2019 Kutinsoft LAN Messenger Software. All rights reserved.